Bus drivers and their union accuse Winnipeg Transit of suppressing reports about assaults by blaming and even disciplining operators who come forward about on-the-job abuse. 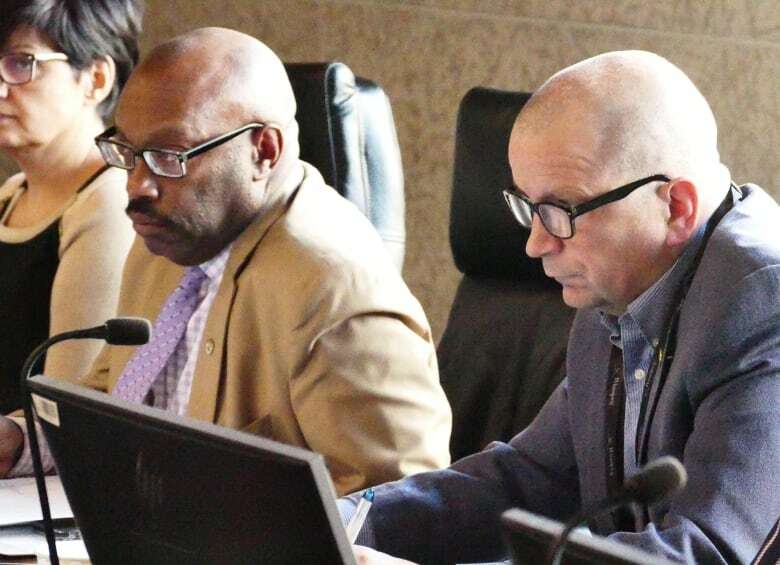 About a dozen transit drivers converged Tuesday on city hall, where council's finance committee dealt with an update of the Peggo electronic fare-collection system and a separate report about a projected transit surplus. The Amalgamated Transit Union Local 1505 wants the city to shovel a projected $8-million transit surplus into driver-safety measures, including the installation of shields promised by the city in 2017. ATU 1505 president Aleem Chaudhary and former Winnipeg Transit driver Chantale Garand — who quit on Nov. 9 over safety and harassment issues — told the committee transit routinely under-reports the number of assaults and takes measures to blame drivers who report them. Chaudhary said transit has logged about 70 of approximately 105 assaults committed against drivers this year. Managers dissuade drivers from reporting physical and verbal assaults, he said. "The first question they get asked is, 'What did you say, what did you do wrong,'" Chaudhary said. "They're trying to decrease the numbers as to how serious the assaults are and how many assaults take place. They're trying to minimize." Garand said assaults are due in part to the Peggo system, adding she herself had trouble using her card on the way to city hall on Tuesday morning. Garand told CBC News last week she has been spat on, struck with objects and groped on the job. She said she was suspended for getting caught on surveillance tape swearing after one incident, even though she was alone on a bus at the time. "I was assaulted that day. I was sitting at the airport, out of service, and I swore once on empty bus," Garand said. "I don't know why they're watching videos of empty buses with one driver on it, but they do." Garand said her treatment was a clear deterrent. "The fact I even had to critically think about whether or not I can report my own assault, based on the treatment I'm going to receive after reporting, is absurd," she said. Chaudhary confirmed Garand was disciplined for that incident. Winnipeg Transit director Greg Ewankiw said while he has no knowledge of Garand's case, transit managers do review tape of assaults. "When we review assaults, I think it's incumbent upon us, the union and drivers to understand why they're happening and to put strategies in place to assist drivers," he said. Ewankiw said Winnipeg Transit is not punishing drivers, but educating them about the best way to respond to assaults. "It's hard to let those issues go when someone is giving you a difficult time," Ewankiw said. He also told finance committee the $7.9-million transit surplus is over and above an expected city budget surplus of $9.5 million. Committee chair Scott Gillingham (St. James) said it would be his preference to ensure that cash is spent on transit in 2019, but said it would be premature to conclude the money will be spent on transit safety.